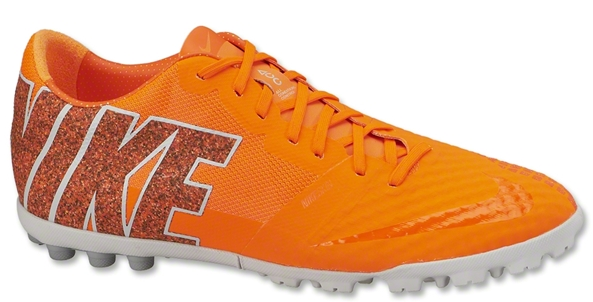 Nike has released their newest turf boot, the Nike Bomba Finale II FC247 Turf Boot. The new orange Nike Bomba Finale II brings one of the most vibrant colors to life considering how some of the previous Nike Bomba Colorways were way more modest and paler. The new turf boot is designed for small sided games to provide players with better ball control under any condition. Similar to other Nike releases this season, the upper part of the Nike Bomba Finale II features Nikeskin technology. The Nike Bomba Finale II as a TPU outsole to provide the players with more agility and better ability to change directions and speed. This boot will hit the market in early October for around $110.